What Group Makes up the Apostasy or Falling Away? Is it the Jews Who Deny Yeshua Like Many Think? Because they did not pursue righteousness as being grounded in trusting but as if it were grounded in doing legalistic works. They stumbled over the stone that makes people stumble. Now if that which worked death, by means of a written text engraved on stone tablets, came with glory — such glory that the people of Isra’el could not stand to look at Moshe’s face because of its brightness, even though that brightness was already fading away — 8 won’t the working of the Spirit be accompanied by even greater glory? 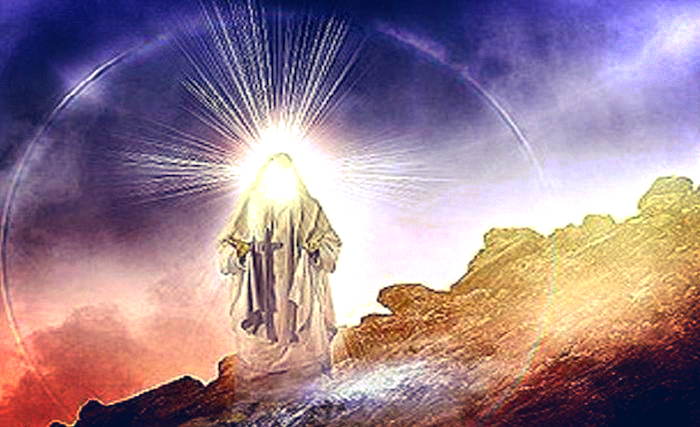 12Therefore, with a hope like this, we are very open — 13 unlike Moshe, who put a veil over his face, so that the people of Isra’el would not see the fading brightness come to an end. In Exodus 34:29-35, we see that Moshe covered his face because Israel was afraid of the brightness of Yah’s shekina (note: he had the stone tablets with him). So Moshe veiled his face because he had to! Israel was afraid to see his face. Because Israel wanted Moshe to wear a veil and hide the evidence of God, Yah veiled Israel’s eyes and heart to Torah. Their eyes are still veiled to this day, meaning this modern day. Are you beginning to see the picture? Yes, they stumbled over the “stone” which we all understand is Yeshua; but this started way before Yeshua’s arrival. It begins with Mt. Sinai. The stone that causes Israel to stumble is the stone that Moshe brought down from Mt. Sinai; the tablets on which Yah wrote the commandments…. the old covenant. …their minds were made stonelike; for to this day the same veil remains over them when they read the Old Covenant; it has not been unveiled, because only by the Messiah is the veil taken away. 15 Yes, till today, whenever Moshe is read, a veil lies over their heart. In other words, Israel rejected the stone that Moshe was carrying, and they reject the Stone, the Rock that is Yeshua, today. Israel was blinded way back at Mt. Sinai because that’s what they wanted. We all know that there’s going to be a “falling away” before the anti-messiah is revealed. We also know that Yah is going to remove the veil from the Jews. However, with the above in mind, this cannot mean that the blinded Jews are the ones who will fall away. They cannot fall away because they were blinded. You have to be IN something in order to fall OUT of it, and the Jews would have to already have faith in Yeshua in order to fall away from Him. It would be unjust for the blinded Jews to perish when they were veiled by God’s hand. Those who will ‘fall away’ cannot be those who do not have trust in Yeshua, but those who have the Ruach (Holy Spirit). They are the ones that have not been blinded. The ones with the Ruach are not judged by the old covenant because the old law brings death. Those with the Ruach are in the New Covenant, which brings life. He has even made us competent to be workers serving a New Covenant, the essence of which is not a written text but the Spirit. For the written text brings death, but the Spirit brings life. 2 Corin 3:6. Heb 6:4 For when people have once been enlightened, tasted the heavenly gift, become sharers in the Ruach HaKodesh, 5 and tasted the goodness of God’s Word and the powers of the ‘olam haba (age to come)— 6 and then have fallen away — it is impossible to renew them so that they turn from their sin, as long as for themselves they keep executing the Son of God on the stake all over again and keep holding him up to public contempt. The verses in Hebrews 6:4-6 are talking about those who are NOT blind (so it can’t mean the Jews) but the gentiles who had the Ruach. So it’s not the Jews who have fallen away – it’s people who HAD the Ruach and fell away. Nothing new there so let me be more specific…. So who’s going to fall away? Let me be even more specific…. There is a move right now among the Messianic/Hebrew Roots camp that seeks to discredit the New Testament, the apostle Paul, or certain books or verses. They listen to people who give clever arguments that were created by man, instead of trusting God and His Word. There is a denial of Yeshua and the entire New Testament that’s growing in momentum and if the Spirit is the heart of the New Covenant, then who are these people that are denying Yeshua? It’s not those who have the Holy Spirit! A ‘house divided against itself cannot stand’ so it cannot be the Ruach that causes these people to doubt Yeshua. Those people are listening to lies. And according to Heb 6:6, they cannot be renewed. They cannot be redeemed. And if this particular group of ‘Torah followers’ who reject the New Testament and the Holy Spirit (it’s the Holy Spirit that breaths life into the NT and the two cannot be separated), then they will be judged by the written law which brings death. That would be the old covenant; the one without the Ruach. Talk about shooting yourself in the foot! There are countless verses that warn us against deceivers ,false teachers, and those who would deny the Father, the Son, and/or the Spirit. Please be careful and stick to the whole bible. The laws are good – if you have the Ruach; so that you are obedient in Spirit. Dismissing any part of the bible (which is the word of YHVH – NT included) denies the Ruach and puts you under another set of laws – the written laws which bring death. On this subject I read the word in Revelations says: All those who receive the mark of the beast ” SHALL KNOW THAT THEIR NAMES WERE NEVER IN THE LAMBS BOOK OF LIFE”. It could be that these are those who have compromised . I see that these are the anti- Christ and have alot of influence in causing many to fall away. At this time the Father is calling all believes to repent. G-d is not dealing with sinners to repent; but, with the very believes. Also in the 2nd chapter of Rev. It calls them to ” repent” because they have left their first love, and if not the candlestick has been removed from them. The candle stick is symbolic to G-ds family tree, as we are the branches of the Menorah attached to the vine= ( Yahshua Jesus ) the middle branch the servant branch. The same branch that pours out the oil ( holy spirit ) to the rest of the branches a measure of the spirit. Once the candlestick is removed they no longer have the life of the spirit.